Fred Savage has signed on to direct and executive produce IFC's upcoming scripted comedy Garfunkel & Oates. 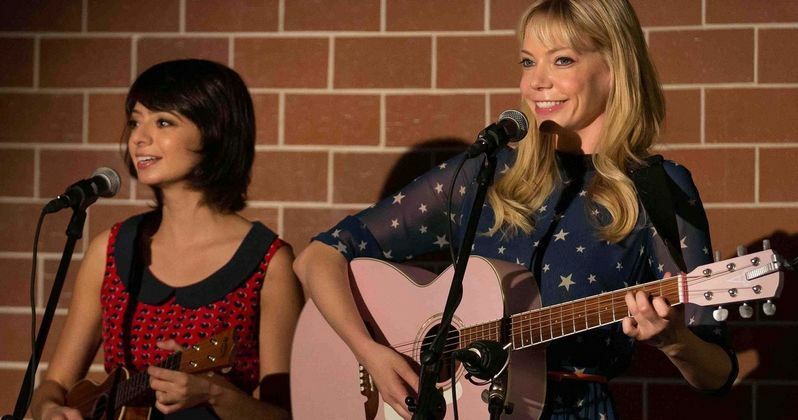 Starring comedy-folk duo Riki Lindhome (Fun Size; Hell Baby) and Kate Micucci (The Big Bang Theory), the series chronicles the pair's humorous misadventures and how they rely on each other -- and a few clever songs -- to get them through their personal and professional stumbles. Production began this week in Los Angeles. A seasoned television director and actor, Fred Savage will direct all eight half-hour episodes of the debut season. Previous directing credits include Modern Family, 2 Broke Girls, It's Always Sunny in Philadelphia and Party Down, among others. Garfunkel & Oates is set to premiere on IFC in late summer 2014. "Fred is one of today's hottest comedy directors and he's a huge addition to Garfunkel & Oates as both series director and executive producer. We're thrilled to have him at the helm of this smart new comedy." Named after "two rock n' roll second bananas," Garfunkel & Oates (Riki Lindhome and Kate Micucci) have amassed a strong and loyal following performing as comedic songstresses who are never afraid to sing about what everyone is thinking, but often too polite to say. The series is created by Riki Lindhome and Kate Micucci. It is produced by Abominable Pictures and executive produced by Riki Lindhome and Kate Micucci, Fred Savage, Jonathan Stern and Dennis McNicholas, who is also the showrunner.